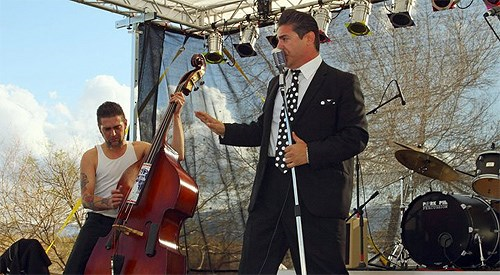 It's all about cool cats and chicks, retro-fashion, rock-n-roll oldies music, rat-rods, and more at the 11th Annual Lake Havasu Rockabilly Reunion. Take a three day stroll down nostalgia lane with 150 vendors of all types, food, beer garden, and the ever popular Pin-Up Girl contest. 18 bands will be rockin' your socks and over 800 cars and motorcycles will be on display. There will be giveaways, a swap meet, and a 1950's hair salon and barber if you want to get your do done! Rockabilly only rolls around once a year, so mark your calendar and tell all your friends. There's a huge Car & Motorcycle Show, a Vendor Village and the largest vintage pin-up pageant west of the Mississippi with an Eat-till-you-drop food court and 30 live bands.